Raleigh, N.C. – Two attorneys in Smith Anderson’s Government Contracting practice, Jackson Moore and Lauren Bradley, co-authored the North Carolina chapter for American Bar Association’s new book: State False Claims Acts: A Practitioner’s Guide to the False Claims Laws of the Various States. This new ABA publication is a convenient, single-volume resource that provides an overview of each state’s false claims law and identifies the key similarities and differences with the federal False Claims Act. With government anti-fraud enforcement on the rise, any organization doing business with state and local governments will benefit from understanding how to avoid submitting false claims. This publication is available for purchase online from the American Bar Association’s website. The North Carolina False Claims Act, House Bill 1135, was signed into law on August 28, 2009. At that time, Smith Anderson published an assessment of how the law affects businesses in this State. To read this assessment, CLICK HERE. Our Firm has been integrally involved with some of the largest government contracts and infrastructure projects in North Carolina. Our lawyers have extensive legal experience in government contracts formation and administration, compliance requirements, bid protests and dispute resolution for a range of contracts, including federal military and nonmilitary and state, local and public construction. We regularly represent long-time federal, state and local government contractors, subcontractors and grantees. We are also engaged by companies that are considering offering their goods and services to governments and government prime contractors for the first time. 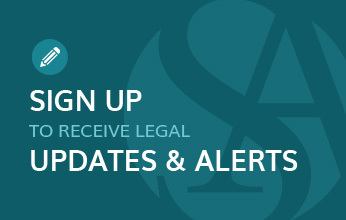 For more information, please visit www.SmithLaw.com/GovCon.